Transliteration note: Names are given in Hanyu Pinyin romanization, with tone-marking diacritics omitted (the first edition of Hanyu Pinyin was approved and adopted by China on 11 Feb 1958, but not by Taiwan until 2009). Beginning in the early 1980's, Western publications began using the Hanyu Pinyin romanization system instead of earlier romanization systems. Names prior to 1979 are given with the Wade-Giles romanization in parentheses, i.e. Li Yuanhong (Li Yüan-hung). Note: That until c.1983 the title of the local party leaders was "first secretary" rather than "secretary." During the Cultural Revolution, 1967-1969, nearly all provincial first secretaries had their posts eliminated by the provincial revolutionary committees. 1366 - 1644 Part of Nanzhili. 1649 - 1659 Part of Jiangnan. 1661 - 1667 Administered from Jiangsu. 1928 - 29 Apr 1949 Under Nationalist government. 1938 - Aug 1945 Partly occupied by Japan. the Special Eastern [Chadong] autonomous region at Dolon Nor). (from 1 Sep 1939 part of Inner Mongolia). Nov 1945 - 11 Oct 1946 Under Communist rule. 28 Sep 1948 Under Communist control (Qahar province). 15 Nov 1952 Divided between Hebei and Shanxi provinces. 1299 - 1356 Part of Jiangzhe. 1656 - 1911 United with Zhejiang. 21 Nov 1933 - 21 Jan 1934 Under control of the People's Government at Fuzhou (Foochow). 21 Jan 1934 - 17 Aug 1949 Under Nationalist government. Jun 1938 - 1945 Japanese occupation (in Swatow, and from May 1941 Fuzhou). control (Kinmen, Matsu, and other islands)(see under Taiwan). 1368 - 1667 Part of Shaanxi. 1667 - 1670 Named Gongchang. 1749 - 1912 Part of Shengan (see Shaanxi). 26 Aug 1949 Under Communist control. Warlord (not recognized by government of China). 1728 - 1736 Under the administration of Yungui province. 1929 - 1936 Largely autonomous under local warlord. 1936 - 15 Oct 1949 Under Nationalist government. 21 Oct 1938 - 31 Aug 1945 Occupied by Japan. Lufeng area of northeastern Guangdong. 1935 - Nov 1949 Under Nationalist government. 12 Aug 1928 - 10 Nov 1941 Qiongya Soviet declared in rebellion. 27 May 1932 - 1932 Qiongya (Ch'iung-ya) special district (within Guangdong). 10 Feb 1939 - Sep 1945 Occupied by Japan (renamed Kainan). 23 Apr 1950 Under Communist control. 1 Oct 1984 Hainan administrative region (within Gugangdong). 13 Apr 1988 Hainan province (split from Gugangdong). 12 Aug 1928 - 10 Nov 1941 Qiongya (Ch'iung-ya) Soviet declared on Hainan, in rebellion. directly by central government until 1669. 8 Jun 1928 - 1935 Under Nationalist government. 20 Jun 1928 Zhili renamed Hebei. the demilitarized zone established on 31 May 1933). 8 Aug 1937 - Aug 1945 Occupied by Japan. 1945 - 22 Jan 1949 Under Nationalist government. Aug 1900 - 1902 Russian occupation (see under Liaoning). Feb 1904 – Jun 1906 Russian occupation (to Mar 1905, see under Liaoning). Nov 1931 - Aug 1945 Japanese occupation. 18 Aug 1945 - May 1946 Occupied by the Soviet Union (see under Manchukuo). 24 Apr 1946 Under Communist control. 1946 - 1954 Part of Liaoning. 7 Jan 1947 - 17 Sep 1947 Merged with Nenjiang as Heinen. 7 Jan 1947 - 17 Sep 1947 Nenjiang and Heilongjiang merged as Heinen province. 7 Nov 1945 Hejiang (Hokiang) province (previously part of Heilongjiang). 21 Apr 1949 Part of Songjiang. 1945 Nenjiang (Nunkiang) province (previously part of Heilongjiang). 7 Jan 1947 - 17 Sep 1947 Merged with Heilongjiang as Heinen province. 16 Sep 1947 Nenjiang province (restored). 15 May 1949 Re-incorporated into Heilongjiang. 1 Oct 1945 Binjiang (Pinkiang) province (previously part of Heilongjiang). 12 Jan 1946 Renamed Songjiang (Sunkiang) province. 20 Jun 1946 Under Communist control. 19 Jun 1954 Re-incorporated into Heilongjiang. 10 Apr 1946 Suining (Sui-ning) province (previously part of Heilongjiang). 1 Oct 1947 Renamed Mudanjiang (Mutankiang) province. Aug 1948 Incorporated into Songjiang. Sep 1931 - Aug 1945 Japanese occupation. 1 Mar 1932 - 18 Aug 1945 Part of Manchukuo. 28 May 1946 Xingan (Xing'an) province, split from Heilongjiang. 23 Apr 1947 Incorporated into Nei Mongol. Zone (by 31 Oct 1920 decree). 1 Mar 1923 Renamed Special Administrative Region of the Eastern Provinces. Sep 1923 Given full administrative independence equal to a province. 14 Mar 1932 Renamed Eastern District Special Administrative Region. 21 Jun 1935 Renamed Northern Manchuria Special District. 31 Dec 1935 Divided between Heilongjiang and Jilin provinces. 1277 - 1644 Part of Huguang (see Hubei). 1664 - 1912 Part of Zhili (see Hebei). 1930 - May 1949 Under Nationalist government. 1 Aug 1949 Pingyuan (Bingyuan) a separate province (split from Henan). 15 Nov 1952 Re-incorporated into Henan. 1277 - 1664 Part of Huguang (Hu-kang)(Hubei and Hunan). 1929 - Oct 1949 Under Nationalist government. 25 Oct 1938 - Aug 1945 Partly occupied by Japan. 1277 - 1664 Part of Huguang. 4 Aug 1949 Under Communist control. 1421 - 1644 Nanzhili (South Zhili)(Jiangsu and Anhui). 1645 - 1661 Part of Jiangnan (Chiang-nan). 1853 - 1864 Under the rule of the Taiping rebels. 1928 - 27 May 1949 Under Nationalist government. 8 Nov 1937 - Aug 1945 Occupied by Japan. 23 Apr 1949 Under Communist rule (in Shanghai from 27 May 1949). 1950 - 15 Nov 1952 Divided into North Jiangsu (Subei) and South Jiangsu (Sunan). Aug 1945 Re-incorporated into Jiangsu. 1369 - 1911 Administered from Guangdong. 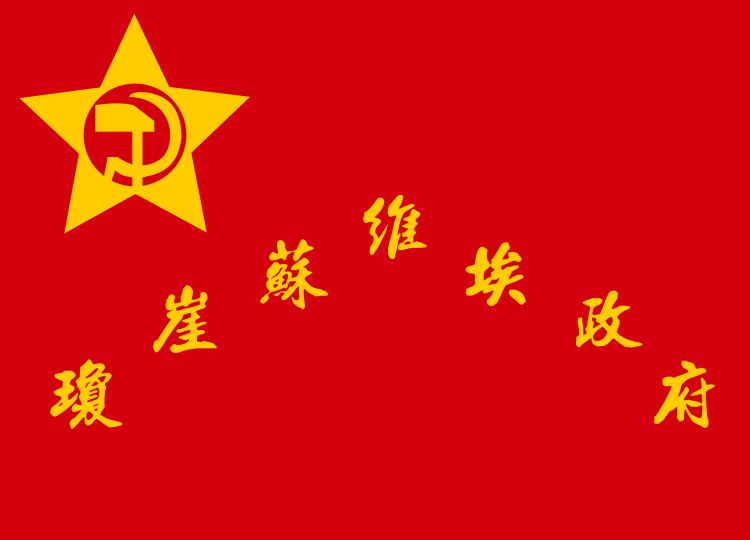 communists (1931-1934 Jiangxi Soviet Republic). 1934 - 22 May 1949 Under Nationalist government. 1943 - 1945 Occupied by Japan. 22 May 1949 Under Communist rule. Oct 1900 – 1902 Russian occupation (see under Liaoning). Feb 1904 – 1906 Russian occupation (see under Liaoning, then Heilongjiang). Aug 1908 Jilin (Kirin) province (previously part of Manchuria). 9 Mar 1932 - 18 Aug 1945 Jilin part of Manchukuo. 15 Aug 1945 - May 1946 Occupied by the Soviet Union (see under Manchukuo). 15 Oct 1948 Under Communist control (Jilin city from 9 Mar 1948). 1946 - 1954 Part of Northeast (see under Liaoning). 1945 Dongan (Dong'an) province (previously part of Jilin). May 1947 Under Communist control. Aug 1900 - 1902 Russian occupation (in Mukden from 13 Oct 1900). Feb 1904 - Mar 1905 Russian occupation (in Mukden to 23 Mar 1905). 10 Mar 1905 - 15 Apr 1907 Southern Manchuria occupied by Japan. 1907 Province of Fengtian (Feng t'ien)(previously part of Manchuria). 1918 - 29 Dec 1928 Largely autonomous under local warlords. the Republic of China" [Fengtian, Jilin, and Heilongjiang]). 28 Jan 1929 Fengtian renamed Liaoning (Liao-ning). 18 Sep 1931 Japanese invasion begins. 9 Mar 1932 - 18 Aug 1945 Part of Manchukuo. Oct 1948 Under Communist control. 1946 - 1954 United with Jilin and Heilongjiang as Northeast. 19 Jun 1954 Province of Liaoning (restored). Nov 1945 - 1947 Under Communist rule. 1947 - May 1947 Under Nationalist control. 21 Apr 1949 Incorporated into Liaodong. 1946 Province of Liaobei (Liaopeh)(previously part of Liaoning). 29 Apr 1949 Province of Liaodong (Liao-tung)(previously part of Liaoning). 19 Jun 1954 Re-incorporated into Liaoning. 21 Apr 1949 Province of Liaoxi (Liao-hsi)(previously part of Liaoning). 1912 Qinghai (Tsinghai) split from Gansu. 5 Sep 1949 Under Communist control. 21 Jan 1933 - 18 Aug 1945 Occupied by Japan, annexed to Manchukuo (as Rehe province). Jun 1948 Under Communist control. 30 Jul 1955 Part of Nei Mongol (Inner Mongolia). 1749 - 1912 Part of Shengan (Sheng'an)(Shaanxi, Shanxi, and Gansu). 1935/37 - 20 May 1949 Partly under Nationalist government. 1649 - 1911 Part of Zhili (see Hebei). 1930 - 1937 Largely autonomous under local warlord. Feb 1938 - Aug 1945 Japanese occupation. Mar 1949 Under Communist control. Weihaiwei British leased territory (see China Foreign Colonies). 8 Mar 1938 - Aug 1945 Japanese occupation. Dec 1942 Region declared abolished by the Nationalist government. 10 May 1945 Formally re-incorporated into Shandong. 1672 - 1749 Part of Shenzhuan (see Shaanxi). 1912 - 1948 Largely autonomous under local warlords. 1938 - Aug 1945 Occupied by Japan. 22 Apr 1949 Under Communist control. 1645 – 1680 Part of Huguang (see Hubei). 1680 - 1731 Part of Shenzhuan (see Shaanxi). 1735 - 1748 Part of Shenzhuan (see Shaanxi). 1920 - 1934 No central government control, area politically fragmented. 1937 - 27 Dec 1949 Under Nationalist government (in Xichang to 26 Mar 1950). 28 Jun 1913 Chuanbian (Chwanpien) special administrative region. area west of Jinsha River controlled by Tibet. 7 Feb 1925 Xikang (Hsikang) special administrative region. May 1930 - 1939 (Nominally) part of Tibet. 22 Jul 1935 Xikang (Hsikang) provincial committee established. 1 Jan 1939 Xikang (Hsikang) province. 24 Mar 1950 Under Communist control. 1 Oct 1955 Divided between Sichuan and Tibet. 19 Sep 1949 Under Communist control. 19 Jun 1954 Part of Nei Mongol (Inner Mongolia). rebellious polity in western Yunnan province. Aug 1927 - Oct 1945 Largely autonomous under local warlord control. Jan 1950 Under Communist control.